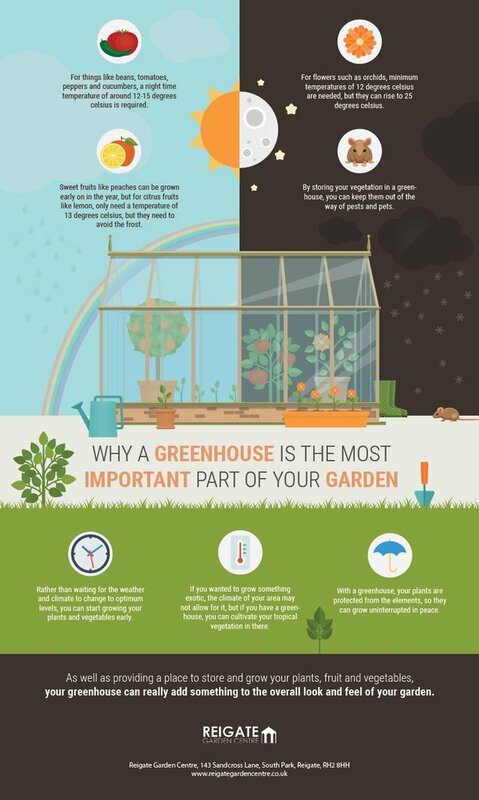 As well as providing a place to store your delicate or young plants, fruit and vegetables, a greenhouse can have many benefits for your garden including shelter and temperature control. Not only does a greenhouse open a whole new world of gardening options for you, a greenhouse can really add to the look and feel of your little slice of heaven. Whether you are just starting out and experimenting with what you may be able to achieve or looking at embarking upon an ambitious planting project in your garden, find out about the benefits of installing a greenhouse and how it could be the most important thing you could do to enhance your gardening bounty.